The retreat is held throughout in a container of conversational silence (no talking or interaction outside of the Inquiry Sessions, and no social conversation at meal-times or during breaks), mind and heart are given the possibility of coming home to their deepest longing. Silent Sitting & Discourse/Inquiry will begin shortly after arrival and continue until lunch prior to departure. Held at St. Andrew's House Retreat & Conference Center - an elegant venue in a beautiful location, the perfect sanctuary for supporting the journey into silence. The center is surrounded by serene gardens with walking trails, places to sit, and spectacular views of the Olympic Mountains. 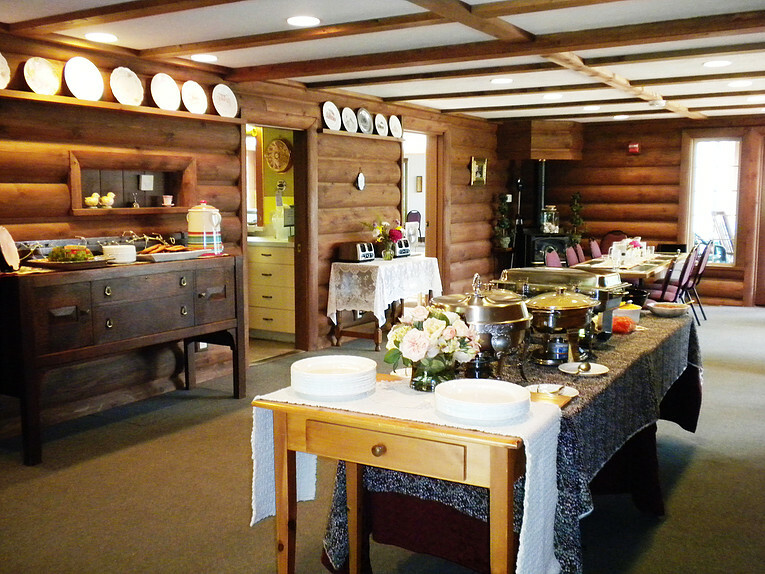 We have exclusive use of the center for the retreat. 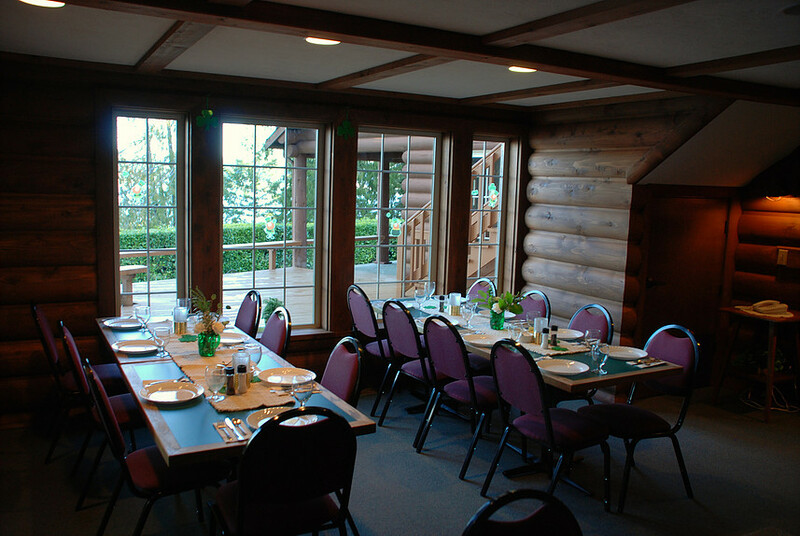 The meeting room is spectacular with high ceilings, log cabin style walls, and a massive stone hearth. Accommodations are single (limited availability) or double/shared rooms with twin beds (maximum 3 to a room, although we will try our best to assign only 2 to a room). All rooms are cozy and comfortable, and all bedding and towels are provided. Meals - 3 meals plus snacks & refreshments are provided. All food (non-vegetarian) is organic, locally-sourced and deliciously healthy. The kitchen at St. Andrew's prides itself for its creative home-style cooking; special dietary requests (such as vegetarian/vegan/gluten and dairy free) can be catered for. How to get there - St. Andrew's House is conveniently located approximately 1h40m drive from Seattle, 1h from Tacoma, and 40m from Olympia, full directions here. If you are flying in from outside of Washington, we may be able to organize a ride from Seattle - please contact us (see contact details below). Cancellation policy - Prior to March 15th, full refund minus $75 administration charge. After March 15th and up to April 1st, 50% refund. After April 1st, no refunds are possible.